Last week I updated Nagios Core from 4.2.0 to 4.4.0 on one of my machines. Over the weekend I received a flood of notifications, all of them saying the host was UP. There was no "HOST DOWN" associated message and in fact, the machine was never down during that time. The problem still persists and I have no idea what is causing it. I updated 2 more machines and guess what, they started flooding Nagios and my smartphone with host notifications as well...so I'm pretty sure this has to do with the update. I'm kind of lost, I haven't changed any configuration files. Any ideas? Can you PM me a tarball of your configuration files? bheden wrote: Can you PM me a tarball of your configuration files? Hi bheden, unfortunately I do not have permission to test any installation or send any files, as the aforementioned machines are on a production environment and the content is confidential. I'm sorry I cannot help you on that issue, it's out of my hands. Part of my job is to guarantee that every machine is up to date, so yesterday I updated every machine and they started showing the same symptoms as well, indicating there is indeed some kind of incompatibility/bug with the 4.4.0 release. 4.4.1 has been release which we believe has a fix for the problem you were experiencing. scottwilkerson wrote: 4.4.1 has been release which we believe has a fix for the problem you were experiencing. Thanks Scott, will upgrade and send you some feedback afterwards. Cheers. Hi again, unfortunately it didn't solve the spamming. I wish I could provide more help, but I was advised not to share any compromising details. 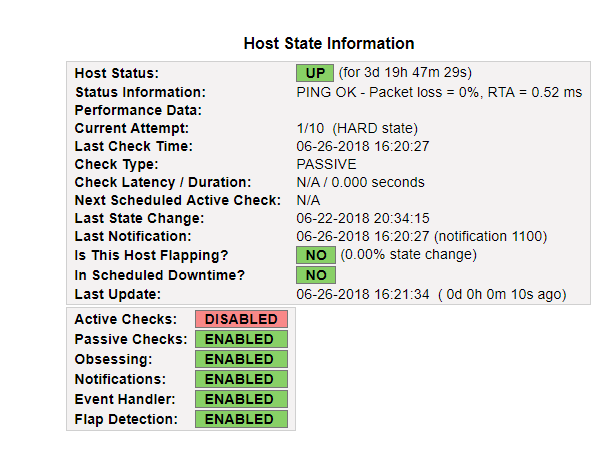 All I can guess is that for some reason, Nagios doesn't save the previous state and "thinks" there was a state change, notifying the host is up every check. Maybe it could have to do with the check plugin? Is it continuous every single host check sends an UP notification? If you look at the state history, does it show the host ever going into a non-ok state? Does the notifications report show all of these? Without giving any details away, does the event log show anything that stands out as odd? 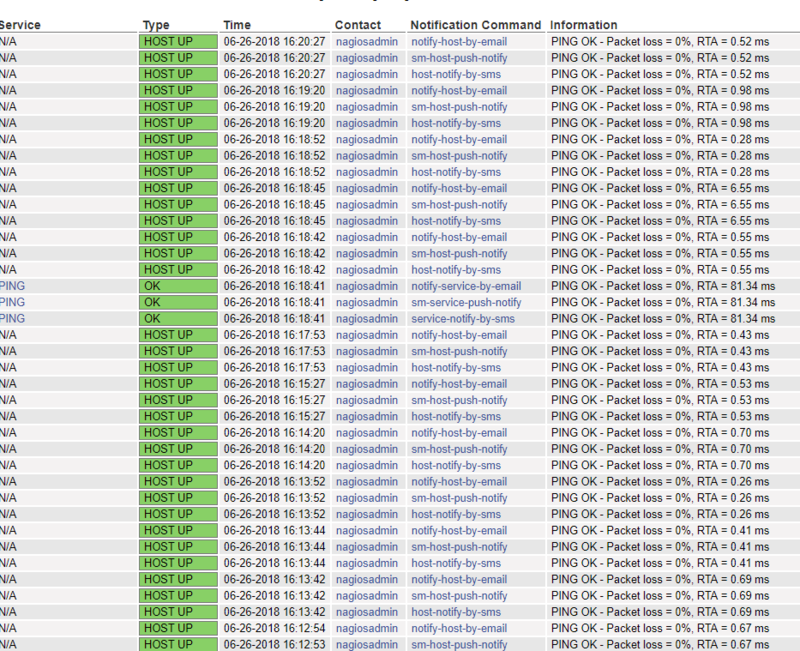 scottwilkerson wrote: Is it continuous every single host check sends an UP notification? Hi Scott, thanks for your time and effort. 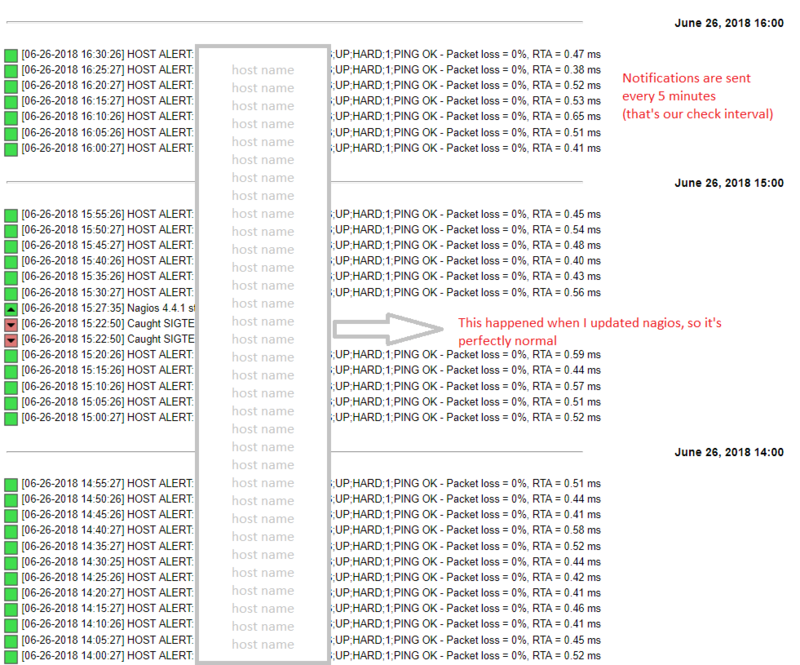 Below are some prints of the notifications report and one of the servers, showing that despite there was no state change since yesterday, 1100 notifications were sent. The event log seems perfectly normal. Is this all hosts or every time a single host checks?